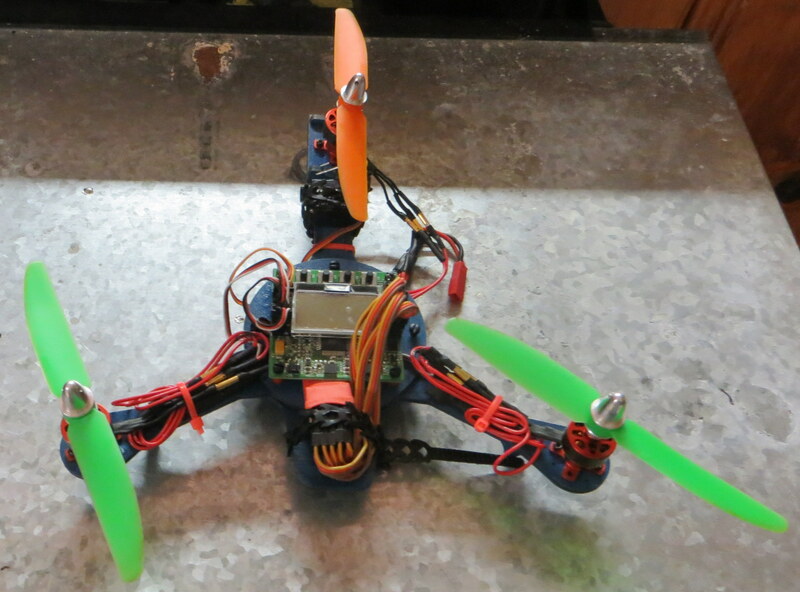 I'm starting up another build and I'm going to attempt my first tricopter. Seeing David tri is probably one of the first thing that got me thinking about multi's but the using servo's scared me since I've never even really thought about them until I got into all this. 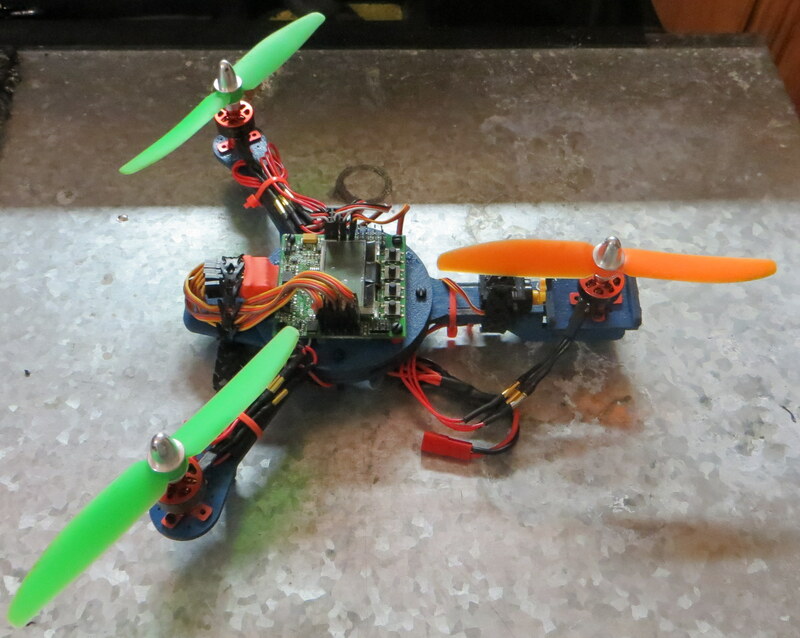 I'm currently using a Turnigy Servo 5.5g but I also have two 9 grams as well. 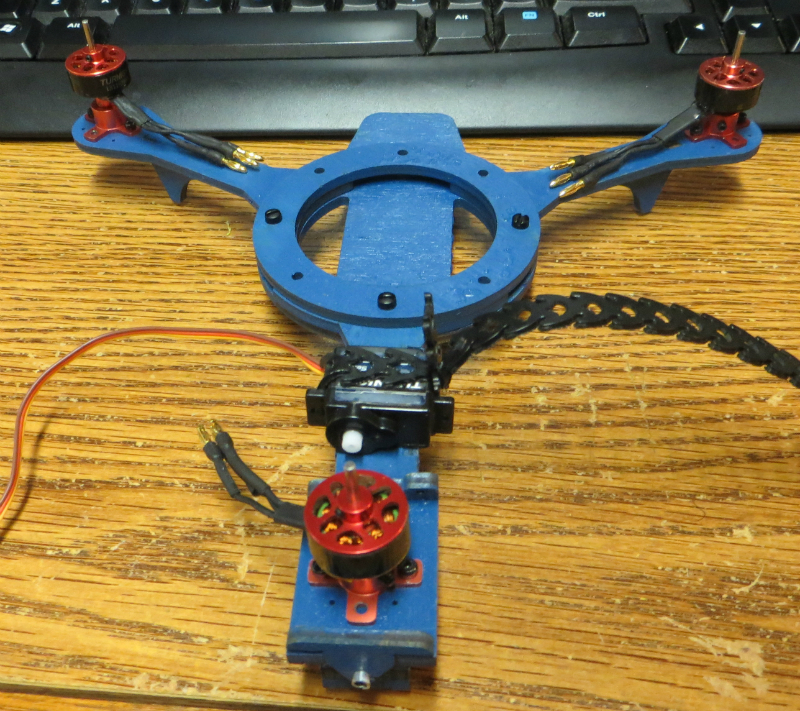 My micro tricopter is going to be using the BlueSkyRc Micro frame. 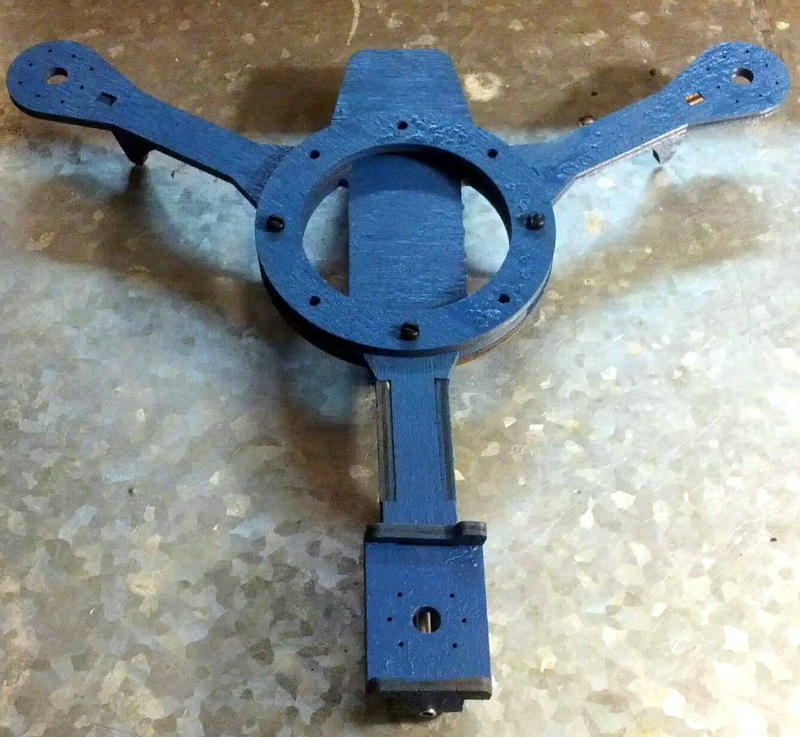 I already painted and put the frame together. 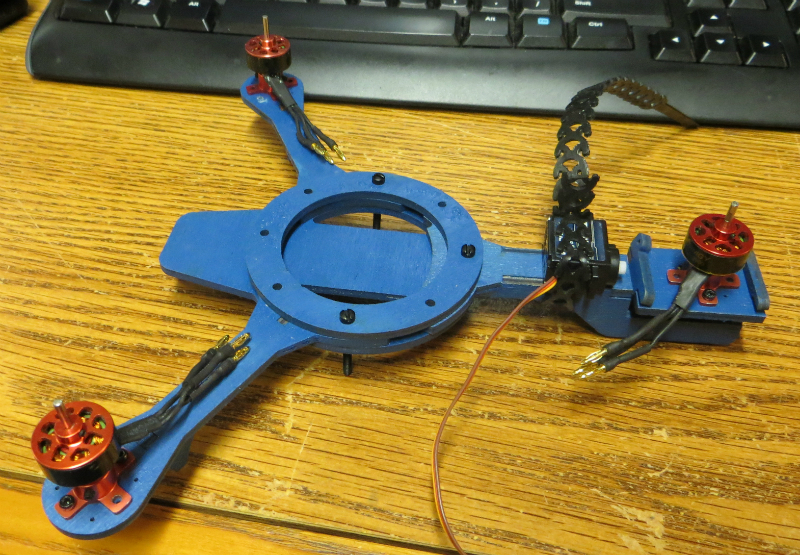 I also went ahead and put the motor mounts on and used a rapstrap to attached the servo for testing. Seems like everything works fine. 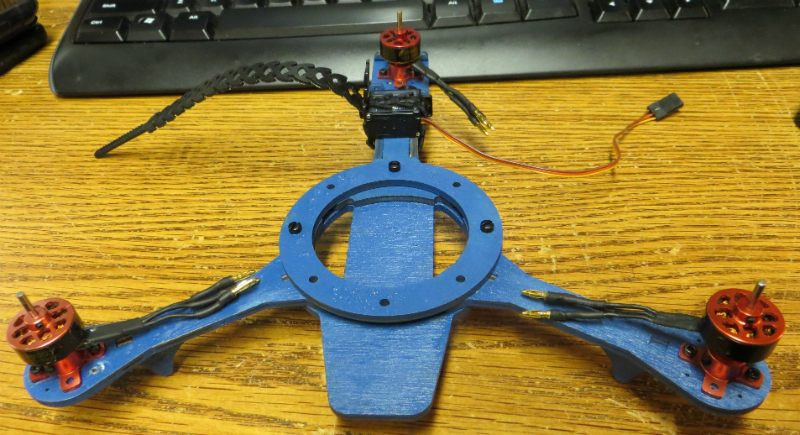 The only issue I've notice so far is the servo arm doesn&#8217;t like staying on the servo. I'm think add some glue would solve this issue but I would hate for it to be off a bit and I need to pull it of to readjust and can't. Here is a video of me testing the servo. This looks good right? Based on the youtube videos I've found this looks all right. 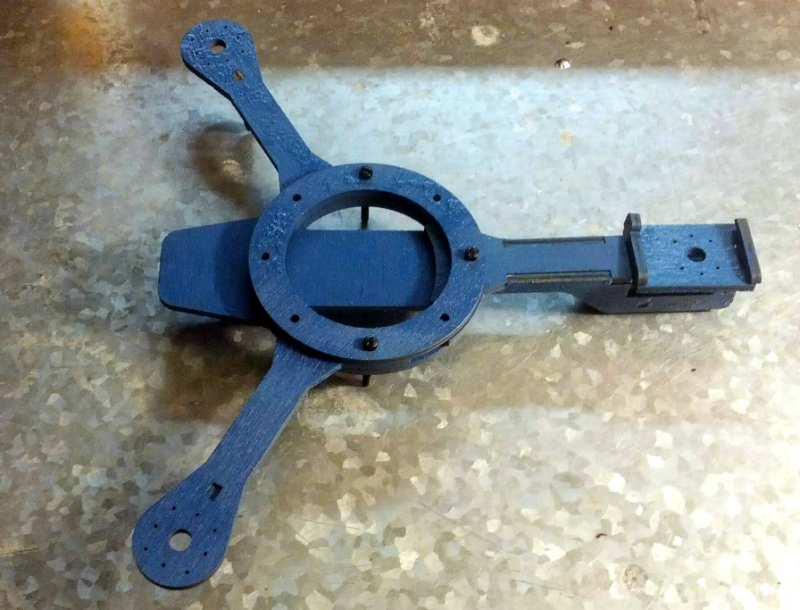 Side note I just remembered from an email today that I actually did support the pocket drone kickstarter, which should be coming soonish, since I really wanted a tricopter back then but didn't think I could build one. Sort of wish I didn't spend the money it now...but it should be another neat addition to my fleet. 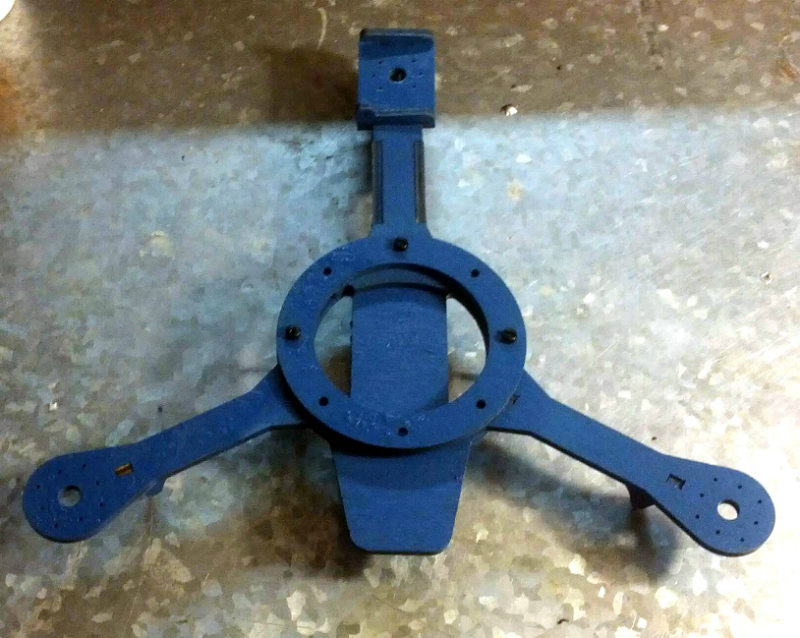 Since the shaft of your servo and the shaft on which the tilt pivots are not aligned, you have more travel in one direction than the other. 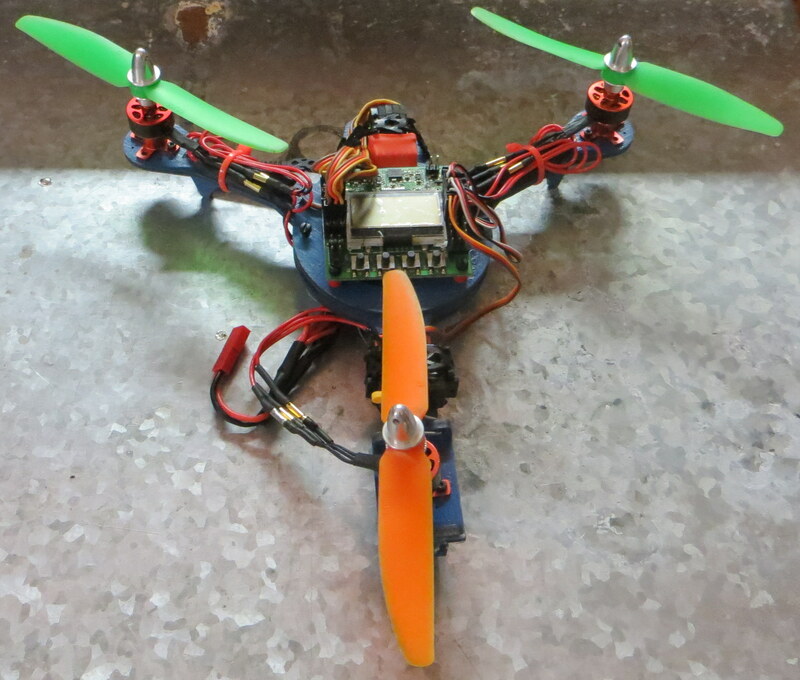 The KK2 board will probably be able to fly it, but you may have sluggish yaw control. Other than that I think it looks pretty neat! I put it all together yesterday and it flies. 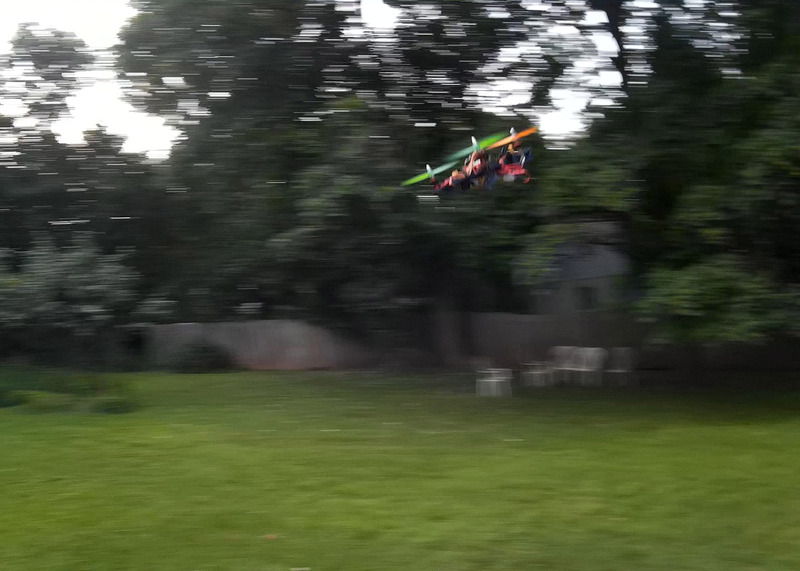 It actually flies quite well. 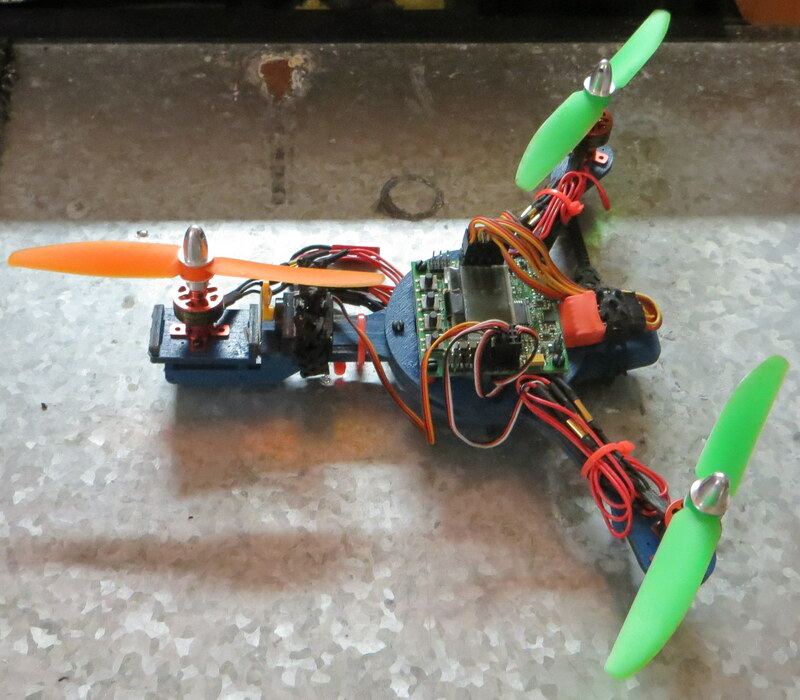 After tweaking the offset if the tail motor it was quite stable in the air. The yaw on a Tri is pretty crazy, I can see why David and many others like them so much. 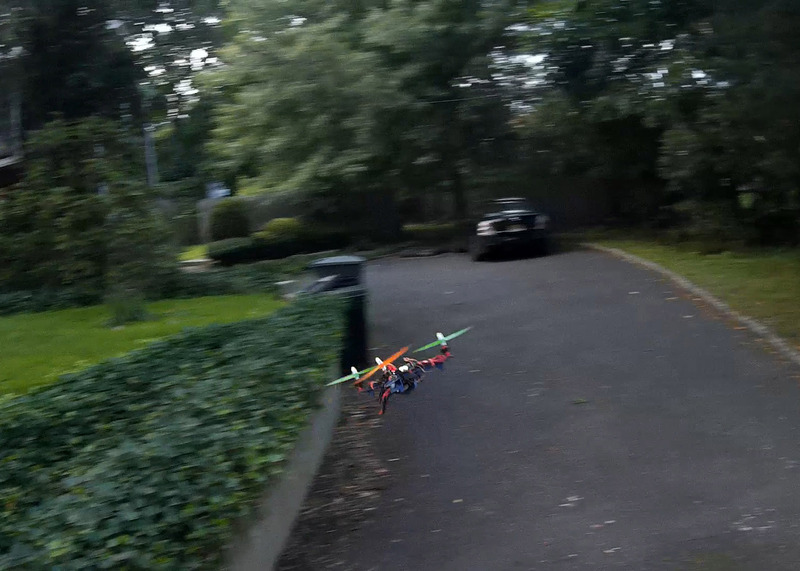 The frame is also pretty durable too I crashed it into a bush (around 4:00) and it survived without any damage. I took a few still from the video as well since I thought they looked cool. Here are some stills of the my final build. Kind of messy but I can clean it up later. I'm also thing of getting some better esc's. looks good mate, but those bearings on your yam motor sounds horible, u better replace them! I like that frame. 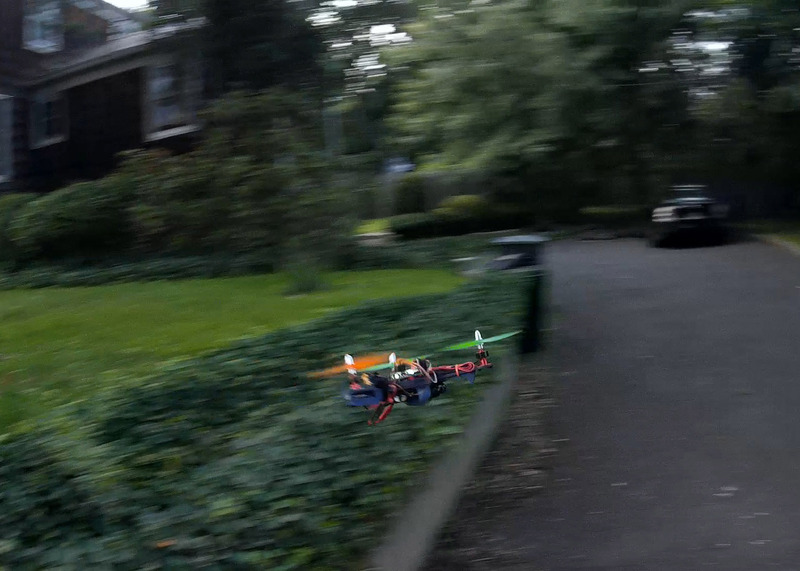 The copter seems to fly pretty well too.